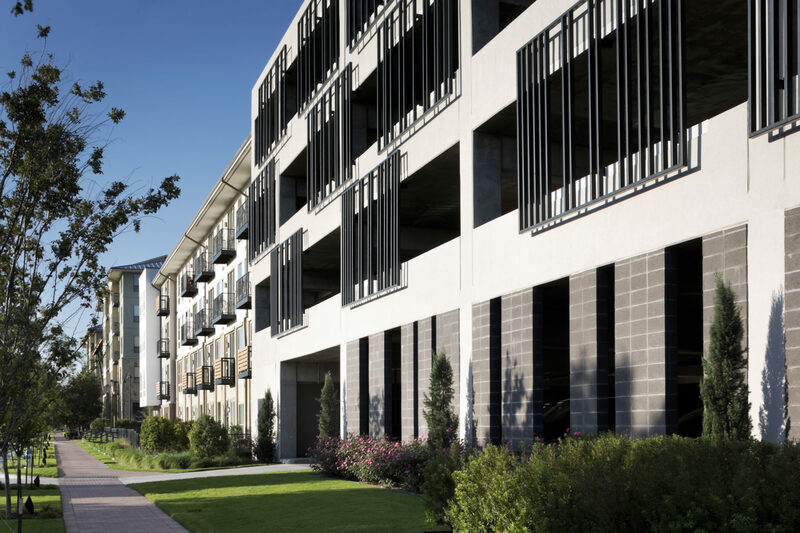 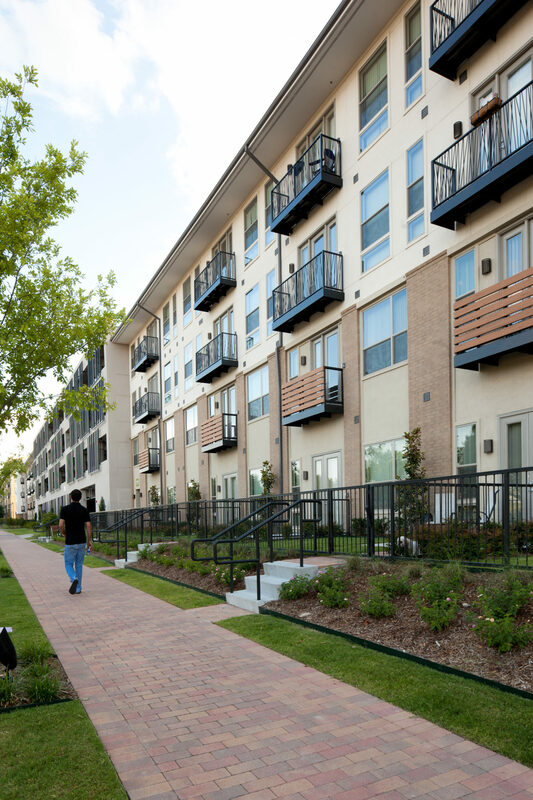 Capping the northern edge of the energetic and vibrant Legacy New Urbanist development in Plano, TX, Legacy North Phase 5 is a four story market rate project with structured parking, which affords resort-style living to its active residents. 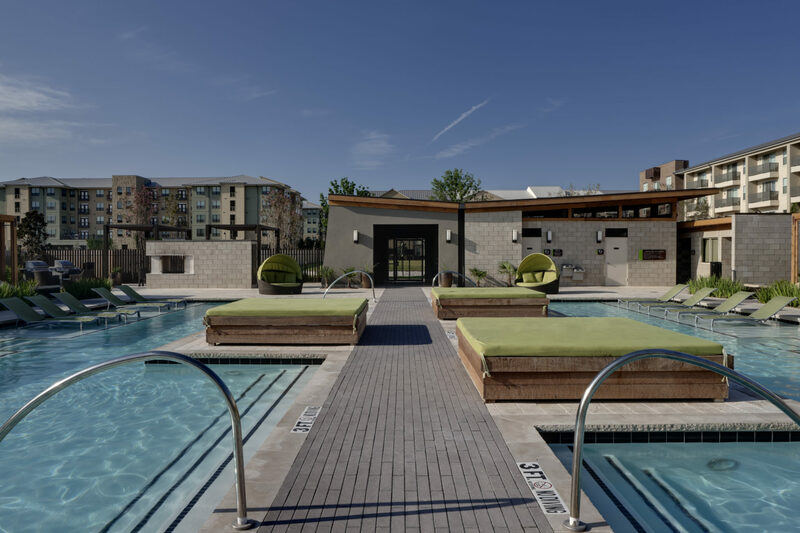 Working with the previous Phase 4, the project brackets the extensive pool amenity and frames the outdoor recreation areas open to all of the development’s residents. 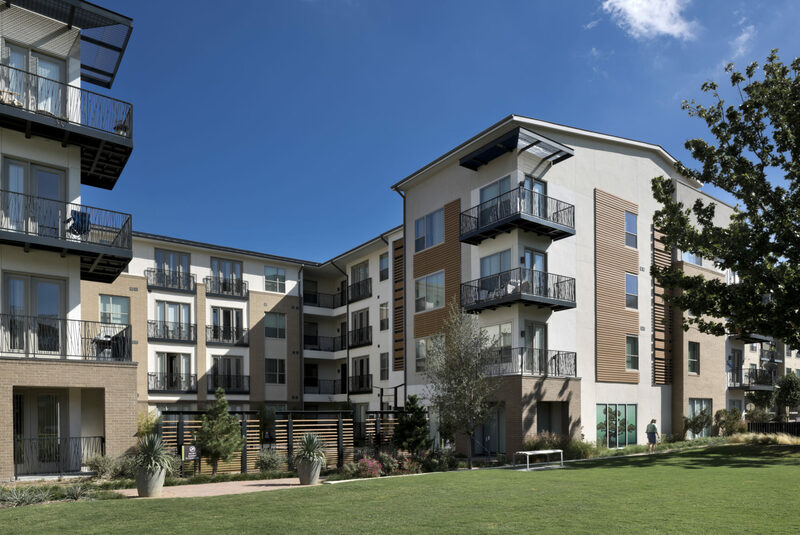 Deep balconies overlook the pool with an outdoor urban elegance, and four courtyards boast a broad variety of alfresco experiences from a Yoga court, to a Beer Garden, to a contemplative Live Oak retreat.